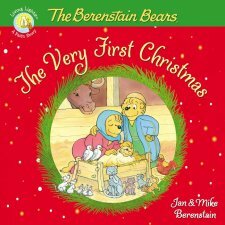 The Berenstain Bears, The Very First Christmas by Jan & Mike Berenstain is an amazingly cute book! 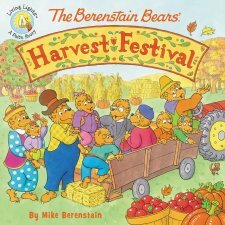 I grew up with the Berenstain Bear books and movies and absolutely loved them as a child. I'm so excited that my kids get to grow up with them as well and that they enjoy them just as much as I did as a child. 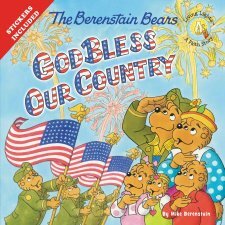 The Berenstain Bears, The Very First Christmas by Jan & Mike Berenstain begins with Papa Bear reading to Brother, Sister and Honey on Christmas Eve. Papa Bear begins reading about the very first Christmas out of the families storybook Bible. Through this story the children learn the true meaning of Christmas and why we celebrate it. The illustration are beautiful and the book is very well written and kept my kids attention. My family and I absolutely love this book and are glad to be able to add it to our Christmas reading list. I also love that at the end of this book their are questions and activities to help families dive even deeper into the true meaning of Christmas. This is an excellent book and I highly recommend it! 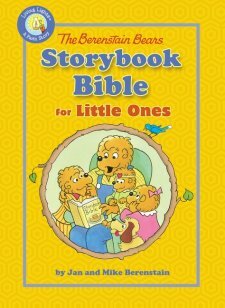 You can find The Berenstain Bears, The Very First Christmas on Amazon, Barnes and Noble and other bookstores. Follow the Berenstain Bears on social media! Check out a few other Berenstain Bears books I've reviewed!